Back Pain & Sciatica Treatment Made Easier. A body’s “treatability” is such a critical factor in determining whether you are going to get rid of your Back Pain or Sciatica easily or not, and for how long you are going to get relief from the pain you are experiencing. Many of you will be familiar with the Self Treatment exercises that are contained on my Back Pain Blog and judging by the emails I receive, many sufferers have been getting fantastic results which have either reduced their back pain or taken it away completely. The best and fastest results however, are usually experienced by sufferers who had the ‘healthiest’ bodies to start off with. Realistically though I am sure that there are some sufferers who haven’t had the same success as the many patients who write to me can attest to. One of the reasons may be that your body is not in its optimal or most “treatable” condition yet. And this would apply irrespective of which type of treatment you are seeking, or from whom, for your Back Pain or Sciatica. 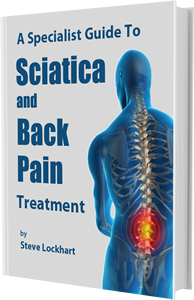 I have new patients come into my clinic all the time, but there are only a very small percentage that do not, in some way, need to make changes to their diet and lifestyle in order to ensure that their body is in an optimal condition to ensure effective Back Pain and or Sciatica treatment success. Getting sufferers to a point where their pain is being managed exclusively by me is easy to achieve if they want to spend the time and money seeing me regularly, but that is not my goal. I prefer to see patients treated in the shortest possible time so that they can get back to their normal routine and lives as quickly as possible, so educating them on diet and lifestyle issues is an important part of providing an effective and successful service in the long term. A lot of the patients that I see in my clinic come in with Back Pain or Sciatica because they have tight, stressed muscles. They are under the impression that they are eating a good diet, and I’d have to admit that on the surface it CAN appear this way. But often, they are not eating foods in the right balance or they are not getting enough of the right nutrients for the amount of activity they are undertaking. The information I am providing here is aimed at giving you a few things to think about, so you can better decide if you need to make some changes to your diet or lifestyle in order to get your body into the best possible condition for treatment. Once your body is more treatable, your back pain or sciatica will respond so much better to what you do, whether that be the self help exercises in my program or treatment you are getting from your SLM or other therapist. The first question I would like you to ask yourself is whether you are drinking enough water? There may be a chance that your body is dehydrated, especially if you exercise a lot, work in a physically intense job such as a tradesperson, massage therapist or even if you travel a lot by aeroplane (very dehydrating). If you work in shorts and T-shirt or light clothing and feel quite comfortable even on a coolish day when everyone else is dressed more warmly, you may well be losing a lot more fluid than you realise, even if you are not sweating a lot on the surface. If this sounds like you, then just drinking more water may not be quite enough to hydrate your body sufficiently. Adding a small amount of mineral salts to your water will help absorption and replace what you lose sweating. This will go a long way toward countering dehydration. I personally drink and recommend alkaline water because it not only helps keep my body more alkaline but is better for absorption. Secondly, a lot of Back Pain and Sciatica sufferers who come in to see me do not eat enough protein yet they consume far too many carbohydrates like pasta and bread. They also drink soft drinks, alcohol, coffee and tea. Too much of these foods and fluids cause the muscles to feel stiff and dry. They then become less responsive to techniques that would normally work to loosen them up. There are many other drawbacks with a diet like this. Essentially, the most important thing we can learn from the mistakes of the past as far as diet is concerned is to cut back on carbohydrates, don’t be afraid of fats (in moderation), but eat more protein especially vegetable proteins and fish and don’t consume too much red meat or chicken. Meat and chicken are generally very poor quality protein due to the way they breed and feed chickens and cattle for the mass market. More protein in the diet generally leads to softer and more supple tissue and less stiffness. It is this stiffness that triggers back pain or sciatica. I encourage my patients to cut down on carbohydrates, especially at dinner time, eat more protein and even add some magnesium to their daily intake which helps soften their muscles and ensures that they become more treatable over a couple of months. I even use this combination for those of my patients who are more active and like to exercise at least a few days a week or for people who work in a physical job. Magnesium helps muscles relax which ensures more successful outcomes and treatments if you suffer from back pain or sciatica. In order to increase protein intake without eating more meat or chicken, I recommend eating more vegetable proteins like beans, chick peas, lentils and tofu and mixed nuts for a snack. For the very active I recommend adding some protein powder like Iso Whey which contains a good quantity of amino acids (the building blocks for protein). Iso Whey is best taken as a protein shake for breakfast or straight after training. It goes without saying that we need plenty fresh fruit and vegetables for their vitamin and mineral content to help our body function properly. Unfortunately these days though, there is much information that confirms our crops are being picked before they are ripe, sprayed with antibiotics and pesticides, kept in storage and gas ripened to suit everyone but us as consumers. Whilst I don’t avoid regular trips to the fruit and vegetable market because of the issues I mentioned above, I make sure that I take a daily serving of a Probiotic super food such as InLiven to supplement whatever may be missing in the ‘fresh’ produce. I believe so strongly in this product that I give it to my own children in their juice or milk. I also give them another concentrated organic form of fruit and vegetables called VegeBuddies which comes in the form of gummy bear sweets, is incredibly healthy but something they love and see as a treat. I understand that eating well can often feel like it is more effort than it is worth because it takes time and planning, but the price you pay for neglecting this can be high. Your chances of suffering from back pain or sciatica or other health problems are greatly increased when you refuel your body with unhealthy and inferior food. You would be surprised how quick it can be to prepare nutritious meals though – making a green salad with chickpeas and tuna takes no more than a few minutes, so often it is just a misperception that stops us from preparing healthy meals. Sleep is a great contributor to helping your body become more treatable. Nothing will stress the body faster than a lack of good quality sleep. Don’t underestimate the importance of eight hours of uninterrupted sleep in a dark room. Disclaimer: The information above should be taken as a guide only and is just the opinion of the author Steve Lockhart. It is not a prescription that should be followed without first consulting your health professional as to its merits and relevancy to your particular situation. Detoxing is crucial in the process of getting rid of back pain and sciatica. You wouldn’t get good results if you painted over dirty, sticky walls or if you tried to wash clothes with dirty water. In the same manner, you need to get the sludge and toxins out of your body and muscles so that they are primed, healthy, loose and flexible and ready to respond to treatment. can lead to serious health problems. Even when these toxins are present in small amounts they can wreak havoc on the body and your muscles cannot function the way they have been designed to. Notwithstanding the toxins in our environment, we are further subjected to harmful chemicals and toxins in the food we eat. Antibiotics are sprayed onto fruit and vegetable crops, beef and chicken are pumped full of hormones and chemicals to boost their size and growth rate and profit driven manufacturers add them to processed foods with little consideration for the adverse effects on our health. Unfortunately, we feel too disempowered as a society to do little more than accept that this is a ‘normal’ state of affairs. Sadly, failing to make a stand against these organisations by not buying their products and failing to make our own good food choices has forced our bodies into toxic states. If you wake up feeling washed out and sluggish in the morning, feel unusually exhausted and ready for bed long before most other people at night, and get told during a massage that your body is ‘ tight’, there is a good chance that you are feeling this way because of the toxins blocking up your muscles. If so, then you would benefit greatly from a good detox. If you are also experiencing symptoms of pain on top of all the other symptoms then it will be impossible to rid yourself of that pain without first detoxing your body. A good detoxification should be carried out every 3 to 6 months, if you have a fairly normal diet. If you haven’t done a detox in one, three, five, ten or even twenty years or more, now might be a good time to start. The longer it has been and the more toxic your body is, the more of a reaction you will experience as you detox. Headaches, skin breakouts, tiredness and loss of appetite are all symptoms you could experience in the early stages. If your body is particularly blocked up these symptoms could even last for a few weeks. However, once you have gone through the detox process, you should feel light and energised, with clear eyes and skin. You will most certainly be in a lot less pain. I am sure you would agree that the end results, if you keep focused on that, would be well worth the effort in the long run. The question that would be playing on your mind now is ‘So how do I go about detoxing? The answer is that the best results are achieved by detoxing on a number of levels. Firstly, you will need to eliminate any excess build-up in the colon using a product like Fibreblend. Secondly, drink at least two litres of distilled or purified (preferably alkaline) water every day. Add freshly squeezed juices to your daily regime as well. Colonics and a whole food probiotic like InLiven are essential, taken before meals 3 times a day. Thirdly, concentrate on a healthy diet that completely eliminates all processed foods, sugars, dairy products and red meat. The Liver Cleansing Diet by Dr Sandra Cabot is a great place to start. Ensure that you do at least 30 minutes of easy exercise each day like walking or SLM yoga. If you are well and truly sick and tired of being in pain, overly tired and run down, and are frustrated that the treatments you have tried are not working, you may seriously need to consider a three to six month detox to transform yourself. I know for certain that you will never look back nor will you regret the new body and renewed feeling of well being and energy that it will undoubtedly give you. Once you detox your body properly, not only will you see an improvement in the back pain or sciatica you are suffering from, but it will also ensure that the bodywork and treatments you get for your pain will be much more effective. GO HERE begin with my free video demonstrating a great technique you can do anytime at home on yourself. The info I have come across on this webside (when I was in pain and looking for help) helped me to recover very quickly. 6 years ago at the age of 58 I developed sciatica. A Doctor gave me some pain killers and sent me to see a specialist.The specialist was on holiday so I went to see a ostopath next door. I visited him once per week for three weeks and then I gave up. I new that I needed help every day, not just once per week. Steve’s self treatment program covers everithing, instant pain releif, SLM Yoga and other exercises, posture, what to eat and drink (very important) and lots of other info. Excellent. 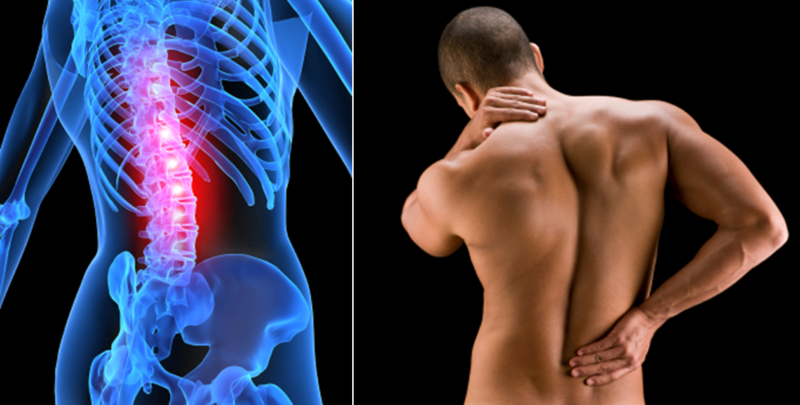 Back pain is as common a disorder as it is cough and cold. Due to adverse lifestyles, more and more people are suffering through this. But the bounty of Mother Nature offers us a plenty of cures for each disorder. Of all the effective medications available for back pain, some natural products work the best.